Born in Kansas and raised in Ponca City, Oklahoma, Brant Bayless came to Utah after completing his studies in New York City. After early piano lessons and singing in his father’s various church choirs, Brant started the viola at age 12. Winning the Governor’s Scholarship to Interlochen Arts Camp in 1992 gave him his first glimpse of the musical world outside Oklahoma. After two years at the University of Kansas studying with Michael Kimber, Brant found his way to New York. Invited to study on scholarship with Pinchas Zukerman and Patinka Kopec at the Manhattan School of Music, Brant finished his bachelor’s degree in 1997. 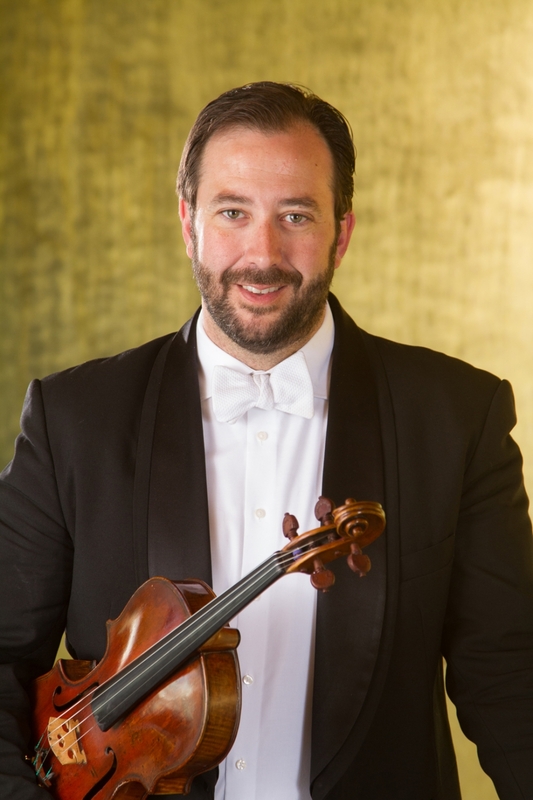 Brant started his career while still at Manhattan as the violist of the Arcata String Quartet. His performances with the Arcata were heard throughout the US and Europe, including concerts at New York’s Town Hall and Weill Recital Hall at Carnegie and London’s famed Wigmore Hall. The Arcata’s Beethoven Cycle at Wave Hill, the Bronx estate of Arturo Toscanini, and their many recordings, some of which are available still, continue to be memorable highlights. In 1998, the Arcata inaugurated a residency at Utah State University, a position that they held for three years. Since joining the Utah Symphony in 2001, Brant has immersed himself in the vibrant musical community in Salt Lake City. From his regular performances on the NOVA and Intermezzo chamber music series, to a teaching post at Westminster College, occasional appearances with Canyonlands New Music Ensemble and Salty Cricket Composers Collective, masterclasses and teaching at institutions statewide, and such special events as the William Primrose Memorial Recital he gave at BYU in 2005, Brant remains busily committed to his art even when off the Abravanel Hall stage. Summers take him further afield. Brant regularly performs at the Grand Teton Music Festival, the Bellingham (WA) Festival of Music, and the Strings Festival in Steamboat Springs (CO). This summer he will return to Bozeman, MT, playing with members of the Muir Quartet, and will also accept an invitation to teach at the Killington Festival in Vermont. As guest violist, Brant traveled to Brazil in 2010 with the Fry Street Quartet, performing at the Oficina de Musica de Curitiba. More recently, he played as guest principal violist with the St. Louis Symphony under their music director David Robertson. As concerto soloist, Brant has made regular appearances with the Utah Symphony: in March 2012 with conductor Jun Markl in Takemitsu’s “A String Around Autumn”; in August 2010 with conductor David Lockington in Bruch’s “Romance” and von Weber’s “Andante and Rondo Ungarese”; and in October 2008 with then Music Director Keith Lockhart and Concertmaster Ralph Matson in Mozart’s “Sinfonia Concertante.” Also recently of note was his NOVA series performance of Berio’s “Chemins II” in March 2011. His viola is attributed to the Milanese maker Luigi Bajoni from 1858. Having fallen in love with the mountains and deserts of Utah, he spends as much time as possible hiking, cycling, and seeking out backcountry ski descents. Brant was recently married to the cellist Anne Francis Bayless.